Each of our SIMCenter researchers offer walk-in office hours. Their walk-in office hours can be found below. 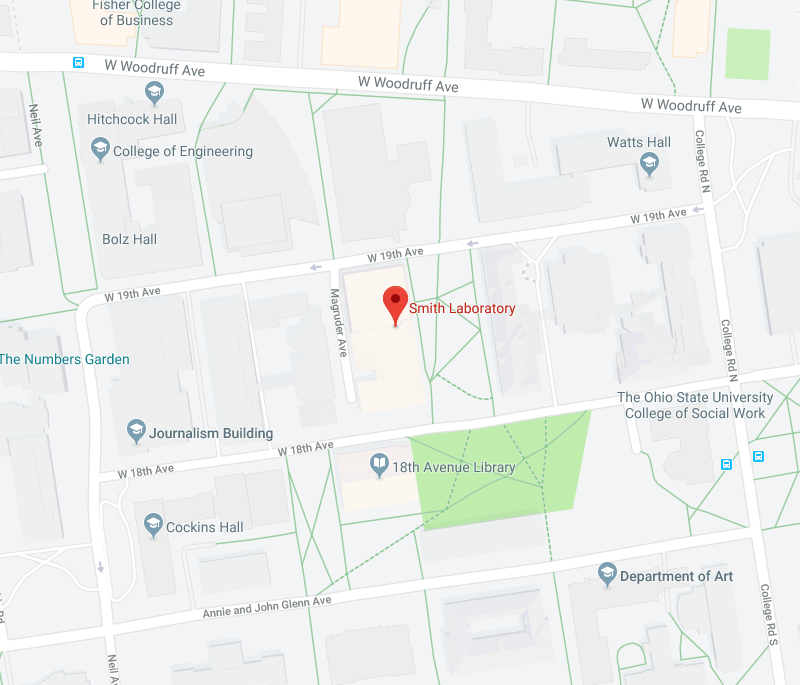 They are accessible in SIMCenter, which is located in Smith Lab, room 2132. More information about each researcher can be found on our SIMCenter Researchers page. Tuesday and Thursday: 1 p.m. to 2 p.m.
Thursday and Friday: 2 p.m. to 3 p.m.
Tuesday: 4 p.m. to 5 p.m.
Friday: 3:30 p.m. to 4:30 p.m.
Monday: 10 a.m. to 11 a.m.
Thursday: 1 p.m. to 2 p.m.
Tuesday and Thursday: 2 p.m. to 3 p.m.
Monday and Friday: 10 a.m. to 11 a.m.
Tuesday and Wednesday: 1 p.m. to 2 p.m.
Monday and Wednesday: 3 p.m. to 4 p.m.